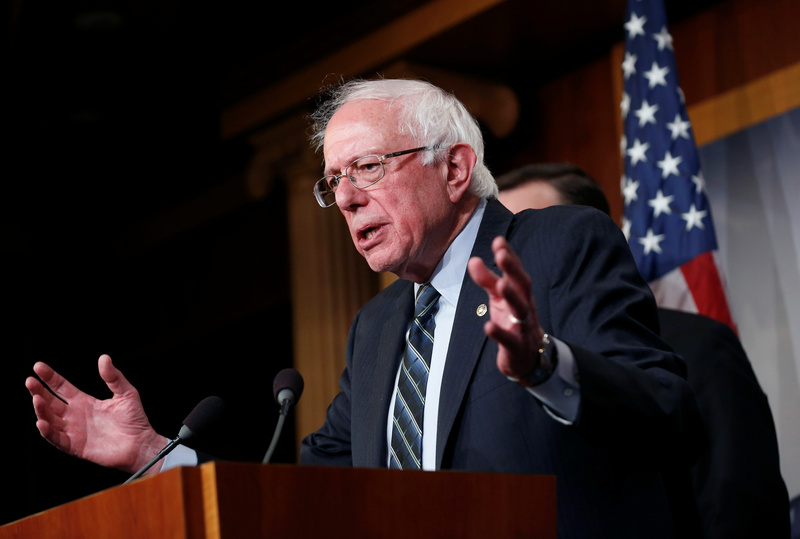 Independent Vermont Sen. Bernie Sanders said he views Fox News as propaganda for the Trump administration, in a Monday interview with The Huffington Post. Sanders is scheduled to have a town hall on the news network next Monday. He explained his decision to host a town hall on Fox News during his appearance on “The Daily Show with Trevor Noah” last Thursday. Senator Bernie Sanders (I-VT) speaks after the senate voted on a resolution ending U.S. military support for the war in Yemen on Capitol Hill in Washington, U.S., December 13, 2018. REUTERS/Joshua Roberts. Perez’s decision was based on earlier reporting from by Jane Mayer of The New Yorker, which alleged that Fox News has become a propaganda outlet for the Trump administration. Prior to the 2016 presidential primary, Sanders hosted a town hall on Fox News, which was moderated by Bret Baier. He and Martha MacCallum are scheduled to host the upcoming one. Others have been interviewed by Baier recently, including Minnesota Sen. Amy Klobuchar, New York Sen. Kirsten Gillibrand and South Bend, Indiana Mayor Pete Buttigieg.